With a few minutes extra during event set up, you can automate run group availability by associating entry packages with run group options. Each package contains a corresponding inventory item that automatically updates your registration form when that item reaches its maximum. 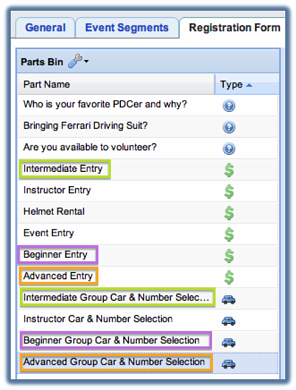 To get started, create separate packages for each run group you have. 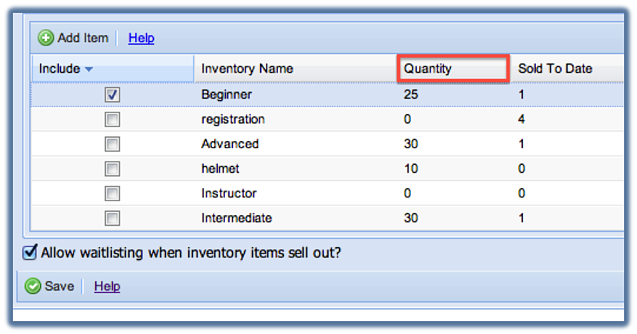 Within each package, create corresponding inventory items instead of using one main "entry" inventory. (For example: Beginner, Intermediate, Advanced.) As you create each new inventory item within the packages, set the inventory item in the Quantity column to the maximum available for that particular group. Your inventory item quantities are what trigger a Sold out or Wait List notification for any package that includes that inventory item. All inventory items are available for inclusion in any or all packages. These are also the items that are displayed on your Event Master 360 Dashboard. If you have set up Groups in the club profile that correspond to your run groups, you can use Assigners to automatically include entry data for that run group. All you have to do at that point is verify their choice. 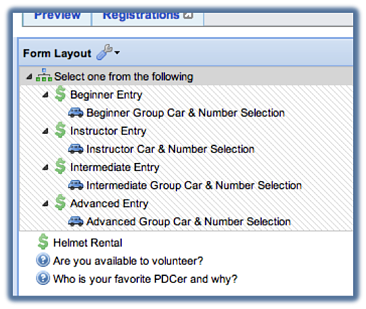 This not only reduces your workload by pre-assigning run groups, it reduces the number of clicks and questions your attendees have to manage when registering, thus making for a more simplified and easy to use registration form. 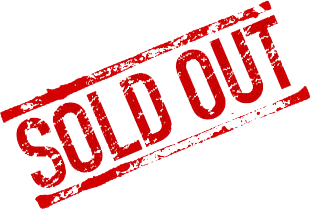 If you also have a total entry limit to consider, use an additional inventory item on ALL entry packages to trigger a sold out or waitlist for all packages once that number is reached.